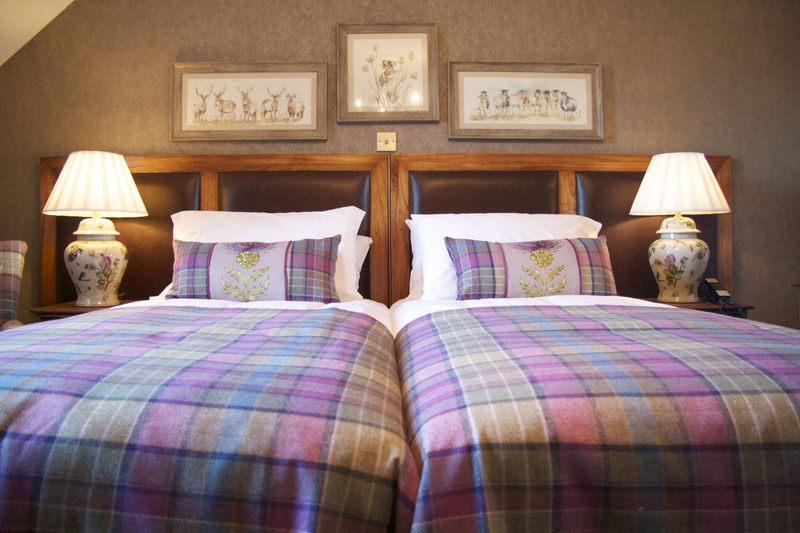 Overlooking Muckrach Castle, Dalwhinnie is a Spire superking/twin room with the luxury of a Hypnos Richmond mattress (with upholstery known as the “God of sleep”), premium pillows and soft white cotton bedding. Located on the first floor by staircase. The porcelanosa-tiled bathroom with chrome fittings & under-floor heating offers a contemporary haven for bathing. Relax in the bath or overhead shower using our range of Highland Soap Co handmade toiletries made with essential oils such as wild nettle & heather. Dry yourself with thick, fluffy towels and then don a super-soft towelled bathrobe.